I apologize for the lack of posts. The past week Satan has been running rampant in my life. I’ve endured all kinds of emotional, spiritual, and physical battles. In the midst of madness the Lord kept me safe, encouraged, sustained and guided me. He is great and mighty! He keeps his promises! 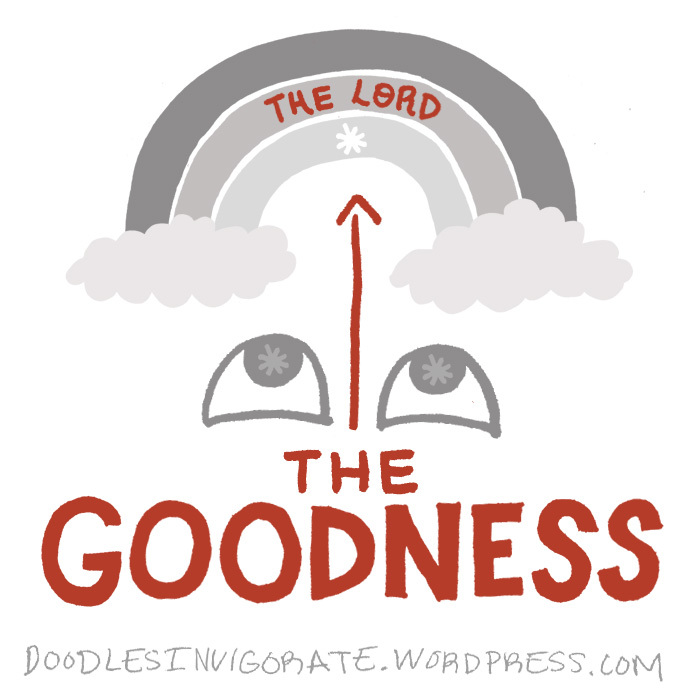 See, experience, and live in the goodness of the Lord! His goodness endures forever! PRAISE HIS HOLY NAME! Psalm 27:13-14 (NIV): I am still confident of this: I will see the goodness of the Lord in the land of the living. Wait for the Lord; be strong and take heart and wait for the Lord. Thanks for the words of encouragement. I pray in the midst of all your trials that God is showing you things and making you stronger and stronger!!! The rainbow also represents his promises. Like in the story of Noah.